Hughs Gap and Port Pirie in South Australia. Melbourne, Victoria. 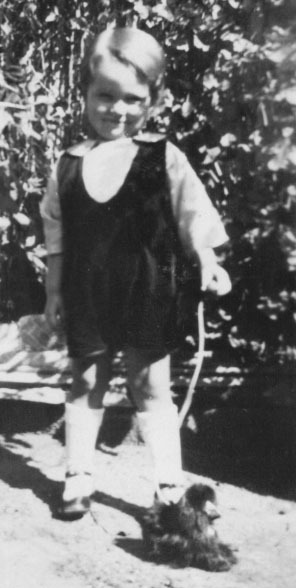 Agnes was the 10th and youngest of ten children born to Carl and Henriette NOSKE nee Leske. She grew up in their home at the base of Hughes Gap (between Laura and Crystal Brook) in the mid north of South Australia. One can still see some stone ruins of the house among Pepper trees on the southern side of the highway at the base on the eastern side of the Gap. We know little of Agnes’ childhood. However we have an interesting event in her life recorded in the Port Pirie newspaper, The Recorder. A Port Pirie Lady Swindled. In last Saturday’s issue of the Recorder it was mentioned that a man giving the name of “ John Buckley” had been arrested in Melbourne on a charge of having defrauded a young lady of Port Pirie of certain sums of money. The facts are that Miss Agnes Noske, of Port Pirie, has recently been receiving telegrams from Melbourne, signed “John Buckley” asking for money. The name signed was that of a friend of Miss Noske, and, thinking that he might have met with bad luck and be in need of help, she responded to the call. Between Sept. 23 and 6th instant she sent two amounts of £1 10s and £2 neither of which were acknowledged; but when she received another telegram asking for £3 her suspicions were aroused, as she knew that Mr John Buckley would be most unlikely to seek assistance from anyone, as he was industrious and always in work. Moreover, he had relatives in Melbourne who would help him if he required aid. Miss Noske mentioned to the police here that she thought someone was using Mr Buckley’s name. Detective Noblett made inquiries, the Criminal Investigation Department, Melbourne, was communicated with and Detectives Manning and M. Williams were detailed to looked into the matter. It was arranged that Miss Noske should send a registered letter addressed “ Mr John Buckley, Fitzroy Post Office,“ which was the office from which the suspected telegram had been des- patched. The detectives waited at the Fitzroy Post Office for three days before the man appeared. On Thursday he arrived, and asked for a telegram addressed to John Buckley. He was handed the registered letter, and was asked at the same time whether he expected it. He said he did, and formally claiming it, signed a receipt. The detectives then approaching him, asked if he was John Buckley. He said he was. He was then asked to open the letter and read it. This he did and found that it set forth that the money would be sent if he required it, but for the sake of safety it would be addressed to his sister. The man who claimed to be Buckley was not able to tell the detectives the address of John Buckley’s sister, and began to flounder when questioned. He admitted having sent all the telegrams, and having received the money. He also admitted that he was not John Buckley, but said he had been authorised by Buckley to collect his telegrams and letters, but he could give no account of Buckley’s movements beyond the fact that he had travelled with him on a boat between South Australia and Melbourne. He was then locked up and charged with forging telegrams, and with obtaining a letter by false verbal representations. Accused gave the name of Alexander Williams, and said that he had come over from West Australia for the Cup carnival. Miss Noske, who was employed as a shop assistant in Port Pirie, left on Monday for Melbourne to give evidence. The accused Williams was working on the wharfs here for over 12 months. 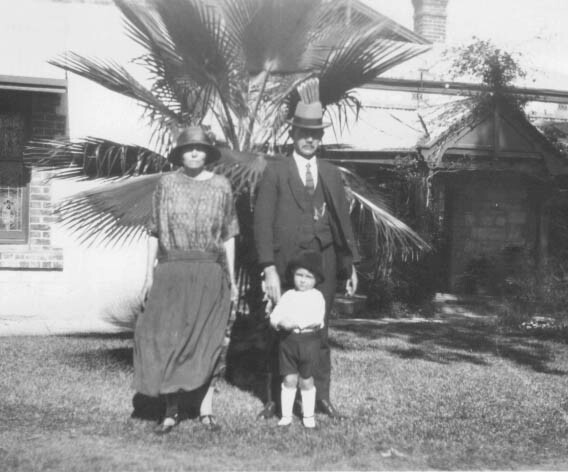 Agnes and John Buckley were married in 1915 and would spend the remainder of their lives in Melbourne. Agnes was an interesting extrovert and made lively company. She would read ‘the tea leaves’ to foretell the future, and practiced phrenology, the reading of the ‘shape and bumps’ on people’s head to analyse their talents and charaterisitics. She herself had the gift of the gab, and her husband John had a very quiet temperament. 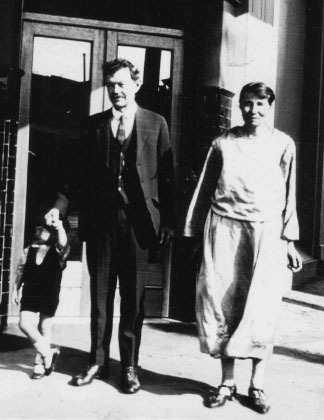 Agnes,‘Jack’ and John Bucklow on an outing in South Australia. Richard Becker in white coat. Agnes had become close friends with her niece Emma Becker. There was only two years difference in their ages. Agnes would visit the Beckers at “The Willows”. 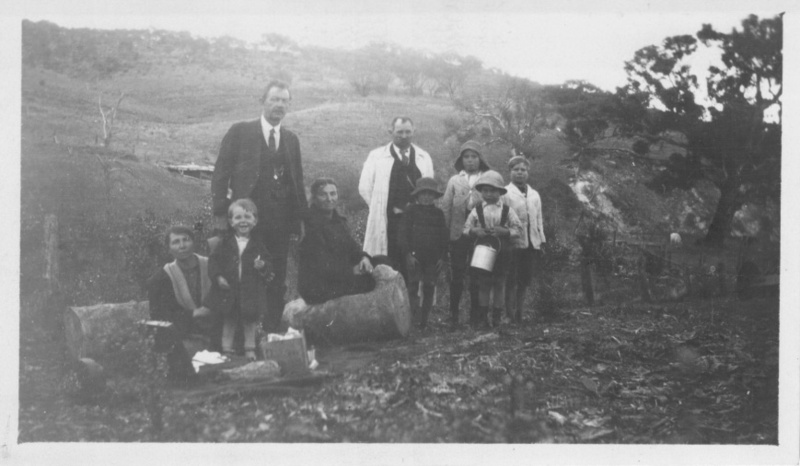 Even after Agnes had married John Bucklow and she lived in Melbourne they made trips to “The Willows” in South Australia to visit the Becker family. 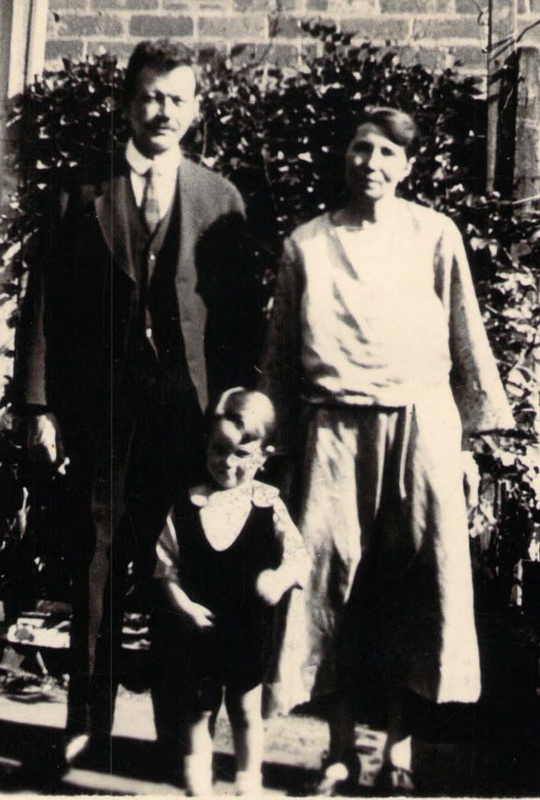 In about 1922, after her confirmation at the end of the previous year, Rita Becker went from “The Willows” to Melbourne for a holiday with her (great) Auntie and Uncle Bucklow in Melbourne. At this time the Bucklows had a shoe shop. They took Rita to the main tourist spots and visited Ferntree Gully in the Dandenong Ranges, St Kilda and the beach, and they had a day out and took the ferry from Sorrento to Queenscliff. Rita became friends with their young son John, about 10 years younger than Rita. The Beckers always knew young John as ‘Jack’. Rita and Jack would stay in contact for the rest of their lives. 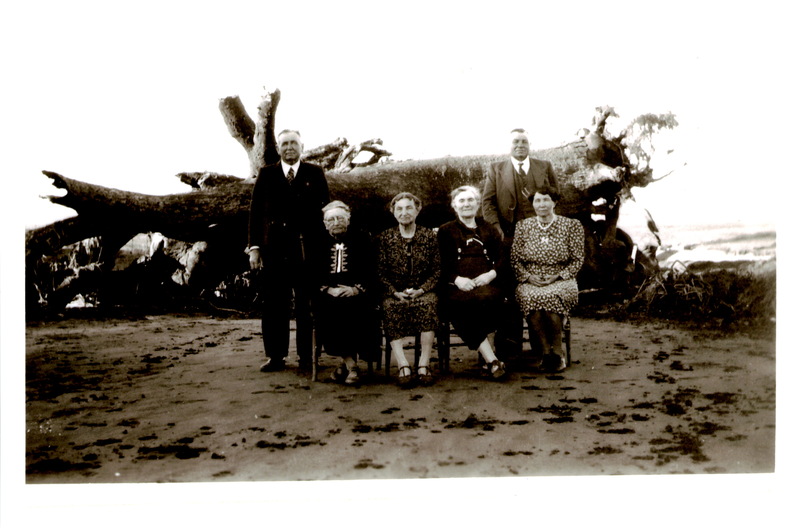 In late January 1941 the Bucklows went to South Australia to celebrate the 80th Birthday of her sister Pauline Zanker at “The Willows”, but were held up by the worst floods in South Australia’s recorded history. The Pine Creek flooded and caused havoc to the Becker farm. It flooded through “The Willows” home to a depth of almost 2 metres. A few days after the floods subsided the Noske Family were able to get together and clear a space for a family photo at “The Willows”. “The Willows” 80th Birthday: L to R: Walter Noske, 4 sisters – Pauline Zanker (80), Martha Zanker, Emma Havelberg, Agnes Bucklow; standing – Ted Noske. (Built in the 1850’s. Originally called the “Leviathon”, then the “Renown”, and in 2013 is called the “Gertrude”. It is on the corner of Gertrude and Napier streets). This would have been an interesting experience as this is listed as Squizzy Taylor’s haunt in Fitzroy until his death in 1927. Rex Becker remembers his (great) Uncle John Bucklow telling him that he kept a baseball bat handy under the bar to help him keep order in the hotel! BUCKLOW. – The Funeral of the late Mr. JOHN BUCKLOW : will leave his home, 469 Punt road, South Yarra, THIS DAY (Thurs- day), at the conclusion of a ser- vice commencing at 2.50 p.m., for the Coburg Cemetery. W. G. APPS. & SONS.PTY. LTD..
John was the only child of Agnes and John Bucklow. In 2012 Melvin and Rex Becker recalled that young ‘Jack’ Bucklow – as they knew him – had possibly grown up to be an artist and that maybe he had moved to Sydney. On going through their sister Rita Zwar’s Birthday book 25 years after Rita’s death, her son Kevin noticed that she had included John Bucklow’s Sydney address in the back of the book. On a family visit to Sydney after Christmas Kevin hoped he might find someone in John’s street who might just remember John Bucklow. It was a long shot! Kevin’s daughter Heidi drove him to the street where he called on the house. When Kevin mentioned the name “John Bucklow” the owner said, “You should go next door and ask my mother as John used to live here and my parents knew him!” His mother was most helpful even though it had been maybe 30 years since John had been their neighbour. In the following weeks she emailed the following information. “I remember John and his wife Maxine as good neighbours, pleasant and courteous. They came to our house for a neighbourhood party , probably thirty-five or forty years ago. Then they lived in Italy for some years, and had to return to have the health support as Maureen’s Huntington’s chorea progressed. They had known not to have children because it was in her family. They built low stone walls and planted pencil pine trees, reminding them of Italy. John cared for Maxine at home with patience and love in the years until her death, which would have been very difficult for him. He was sure that she was still better with him, that there could be some sense of recognition, and would not put her into care. A search on Google turned up a Maxine Bucklow who was a senior lecturer in industrial relations at the University of Sydney – c. 1950’s and 60’s. The university now has an annual scholarship in her name. I shall look for information from the university to confirm that this is our John Bucklow’s wife. John Bucklow was a finalist in the Sir John Sulimann art competition in 1956, and a finalist in the Wynne competition the following year. I assume this was ‘our’ John Bucklow, and hope to find confirmation of this in future. Any help would be much appreciated! I haven’t been able to find any birth or death notices on Trove for either John or Maxine. I would like to pay a special tribute to John and Maxine. Their considerate and unselfish decision not to have any children marks the end of this line of the Leske / Noske Family.